Twenty teams made the trip to Biasca, in Ticino. With ten participating teams, the Mixed Age event was one of the most interesting competitions of the day. Team Snowflakes from Switzerland came out on top with a score of 55.95 for their "Space Dreams" free program. Olimpia Team (ITA) took home the silver, earning a score of 46.82. Blue Unicorns, the team from Germany, finished third with a score of 45.04. Representing Italy, Frost Fairies finished in fourth with a score of 42.73, just in front of United Blades from Switzerland who had a fall in the No Hold Element (41.92). Team Bernettes is really not far with a score of 41.87. They also had a fall in the first element (intersection). 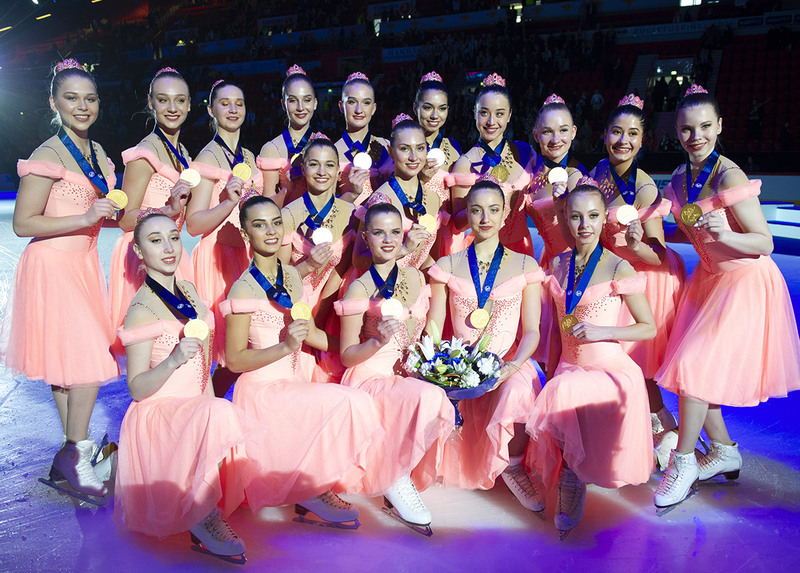 The next event was Senior B. Starlight Jewels, representing the Swiss city of Zürich, earned the gold medal with 56.44. In Advanced Novice, Hot Shivers from Milan (ITA) took home the gold medal with 53.06 points and Starlight Novice finished second (40.87). Hot Shivers also won the Basic Novice division, earning a level 3 for the Line Element (29.44). Olimpia (ITA) finished second and Frost Fairies claimed the bronze medal. Team Bernettes rounded out the podium in fourth place and had a fall in the last element of the program. 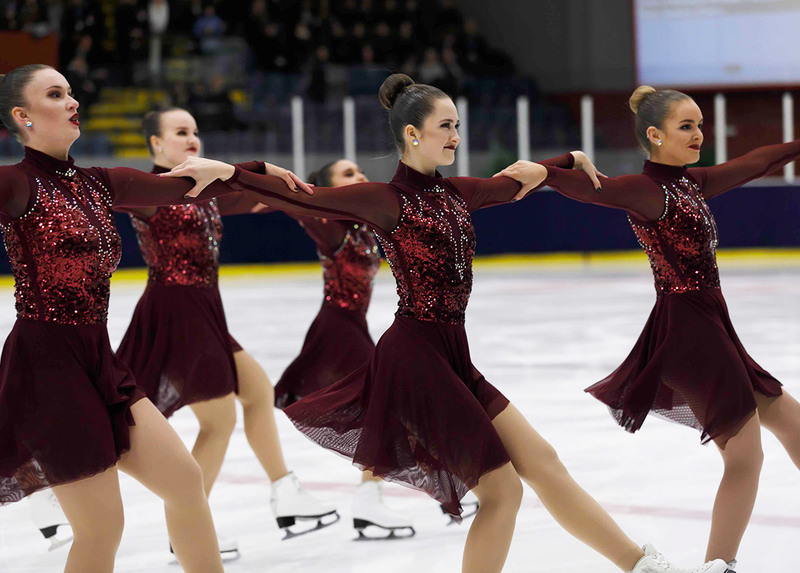 The second Swiss team, Ice Spice, placed fifth. The scores were quite tight in this division that gathered a five team in total. In the Juvenile division, Olimpia Team earned the gold medal with a score of 20.33 for their program. Ladybirds Juvenile, dressed in a very colorful costume, earned the silver with a score of 16.18. 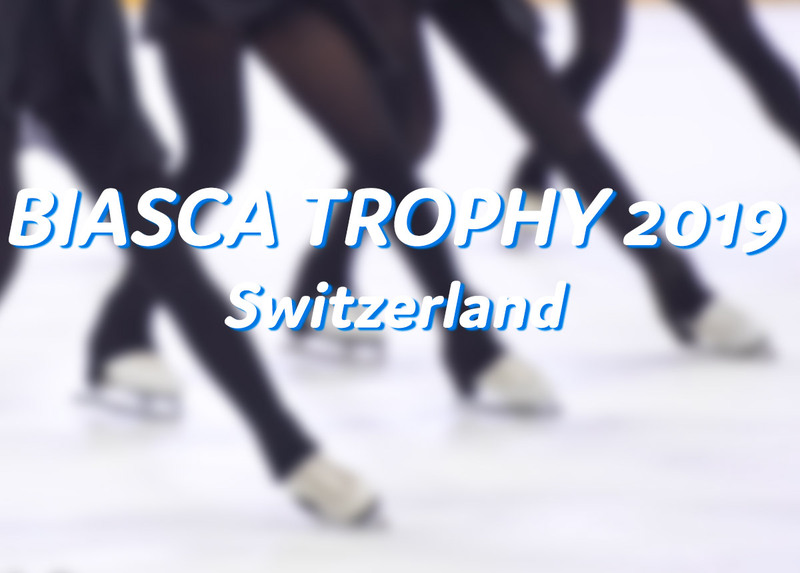 This competition held in Ticino marked the end of competitions in Switzerland for the season. Many teams will already be preparing the new year in the coming weeks.